A furniture quality wall plaque specially designed for our heirloom quality products. 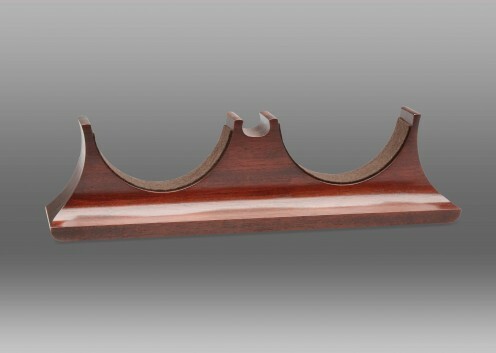 Handcrafted from solid mahogany, this hand-finished wall plaque's precise detailing serves as the perfect complement to any Chelsea clock and barometer. 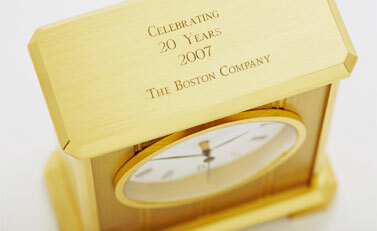 Fits any two Chelsea Clock items with a 4 1/2 inch dial, or single 6 inch item. Solid brass mounting hardware embedded in the back of the plaque. Comes with engraving plate and screws. Note: This base will also accommodate non-Chelsea branded clocks. The dial (excluding the case or bezel) should measure 4 1/2 inches (for two items) or 6 inches (for single item) for a proper fit. 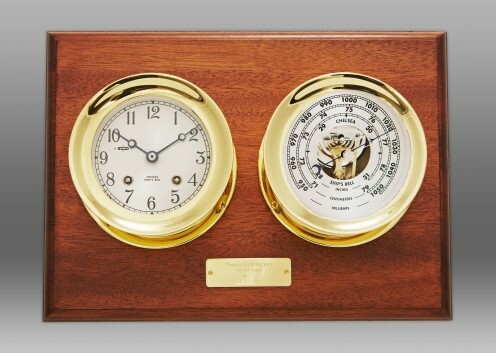 Clock and barometer not included.